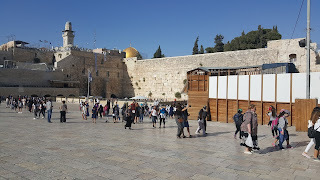 In the afternoon we spent some time at the Southern wall of Jerusalem. Here we looked at some of the ruins left from the period of the second temple. We stood on the steps where Jesus would have definitely walked when he came to Jerusalem for festivals. We sat and considered how the area may have looked when the temple was still standing and what it means for us. Helen set a picture of what the temple would have been like at feast days. The sights and sounds, the hustle and bustle, the mayhem of it all. She then said. "The temple doesn't sound or smell like the house of prayer we imagine today." This really challenged me. I expect a house of prayer to be calm and peaceful but that isn't always the case, God can also be in the hubub. I also considered that the bible says we are the temple of the holy spirit. Sometimes in church we can discount people because we don't believe they can become our vision of the temple, calm, ordered and compliant but God can be found in any heart that is given to him. I pondered, how many people am I discounting today? Helen also discussed that in John 1:14 it says "The word became flesh and dwelt amongst us." The Hebrew root for dwelt is also the same as Tabernacle. Jesus became our tabernacle/temple so we no longer need to be bound by law. 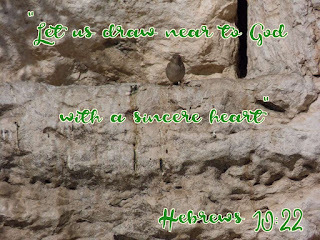 Something I was so grateful for as we visited the western wall. After security checks and a bag search, we made our way to the plateau, here the wall towers high and the glittering gold of the dome of the rock can be seen. The wall is partitioned into men and women's sections so I left Paul to go and place my prayer. I had been really looking forward to this moment. I felt this would complete my pilgrimage to the holy city. 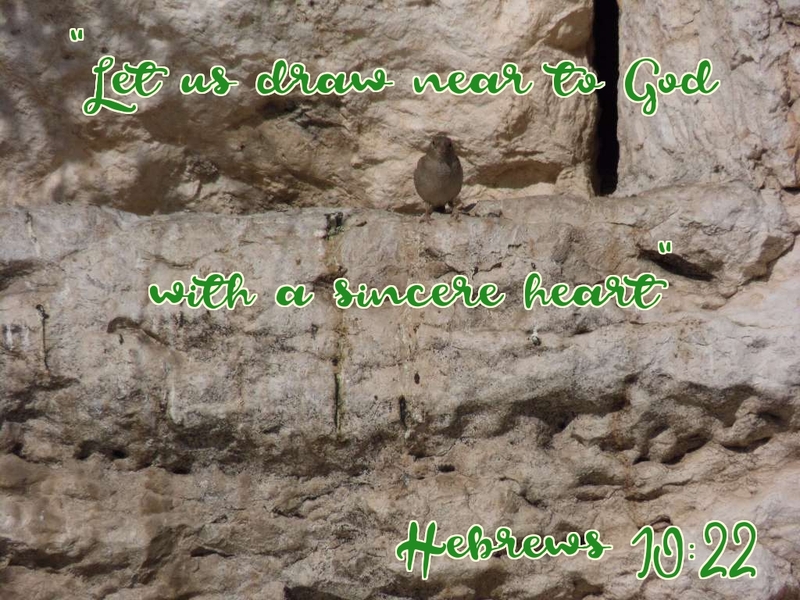 I stood at the wall and spent a few minutes trying to find a space to place my prayer. After I had done so, I took in the sight before me. People were rocking back and forth in prayer. Others were screaming, crying and wailing. I saw some backing out of the compound, not willing to turn their back on the prayer they had just made. Thank you Jesus that you have made a way.